Sony has today announced the arrival of its new PSN Toolbar on the official PlayStation.com website. Allowing PlayStation gamers to easily see a snapshot of their friends who are currently online and which games they are playing before joining. As well as view messages, notifications and access your very own mini-profile using just your computer’s web browser. Making it easier to stay connected with the PlayStation community when you’re away from your PlayStation console. Your Friends list will be fully accessible via the toolbar, giving you a snapshot of which friends are online before you hop into a game. 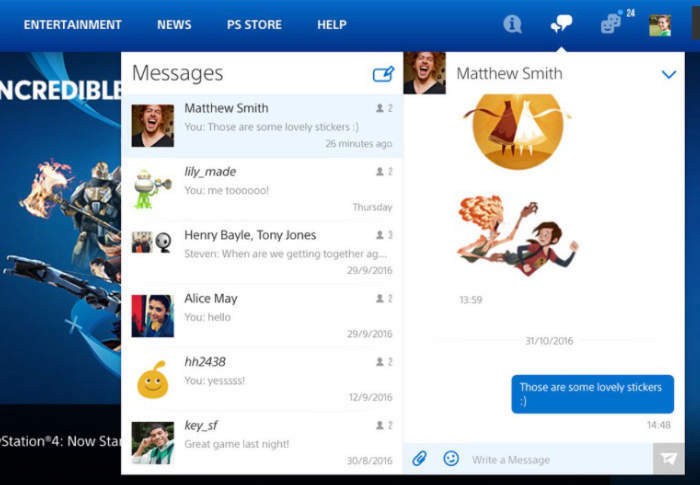 The Messages tab includes the ability to send and receive stickers, images, text, and voice messages all from the web. You’ll also be able to keep track of friend requests, Party invitations, and game invitations from the Notifications tab until you can get to your console. Head over to PlayStation.com to check it out, and let us know what you think in the comments.